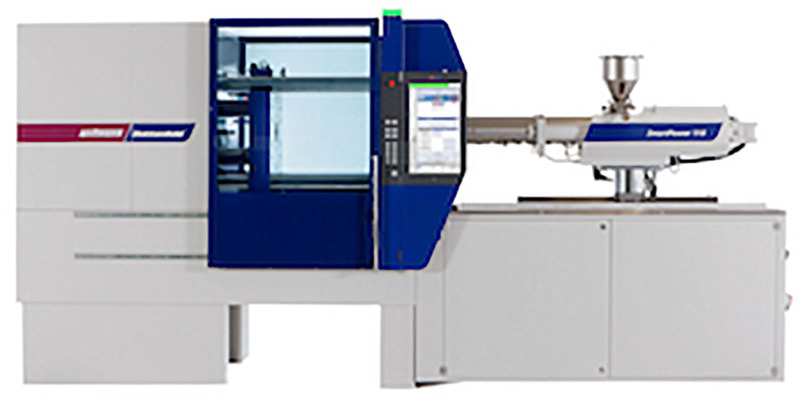 Wittmann Battenfeld Inc. (Torrington, CT) will feature two turnkey injection molding work cells at booth 1205 at the upcoming Amerimold 2017 trade show. This year’s Amerimold, held June 14 and 15 at the Donald Stephens Convention Center in Rosemont, IL, is co-located with the new Plastics Shop Floor Expo, produced by the Plastics Industry Association (PLASTICS). Wittmann Battenfeld SmartPowerWittmann Battenfeld will be featuring its SmartPower 110 molding machine with the company’s all-new B8 control and W823 robot with servo B-axis rotation. This machine will be molding toy yo-yos on a mold provided by Hasco. Wittmann 4.0 technology will be demonstrated on this complete work cell, with seamless integration of the robot and auxiliaries including Flowcon Plus water control, Aton Plus dryer, S3 net loaders, G14 Blender, Tempo Plus temperature control unit and GMax granulator. Also at the show, Wittmann Battenfeld will have one of its MicroPower molding machines operating in its booth. The MicroPower 15/10 will use a mold from Mold Craft to produce a gear filter. This micro molding cell is complete with micro-design auxiliaries from Wittmann, including the micro-temperature controller, dryer, SCARA kinetic side-entry robot and a camera vision inspection system. “The integration between the W823 telescopic high-speed robot and the SmartPower 110 injection molding machine, along with each of the auxiliaries including the temperature controller, blender and FlowCon Plus, allows molders the fastest possible mold change, since the molding recipe is stored for each mold in a single place, in our new B8 machine controller,” said Preusse. “Imagine for each mold, all parameters are stored in the controller including the robot program and all the auxiliaries’ setpoints, which can be made on the molding machine or the auxiliaries. It is the most advanced controller on the market and we’re excited to show molders the new B8 and how easy it makes control of the entire work cell possible,” said Preusse.